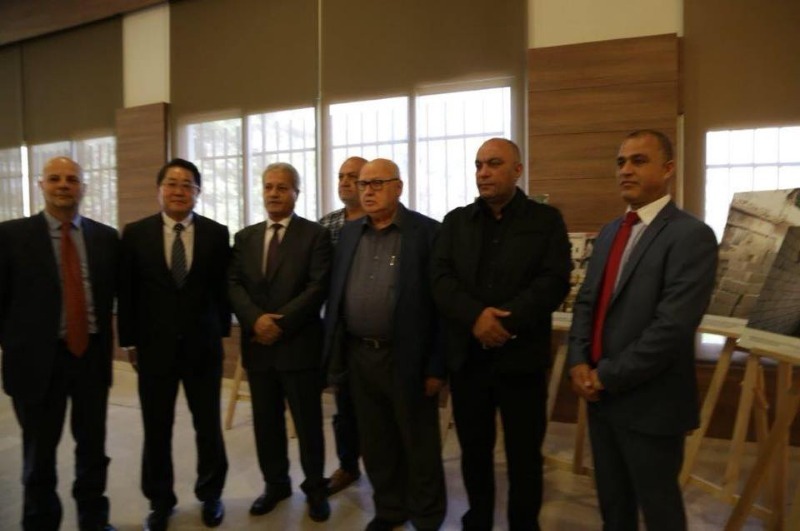 The Japanese ambassador in Lebanon, Matahiro Yamaguchi, visited "Hay Al Tiri" in Ein El-Hilweh camp, which is being reconstructed and re-establish with a Japanese donation of US $ 3 million as it is being implemented by UNRWA in cooperation with Developmental Action without borders / Nabaa'. The General director of UNRWA in Lebanon Mr.Claudio Cordone, and representative of the Ambassador of the State of Palestine in Lebanon Ashraf Dabour Consul Ramzi Mansour have accompanied him during his visit where he briefed on the work flow as well as he listened to the people who thanked Japan with its Government and people of Japan for this generous donation for the reconstruction of the neighborhood as well as the support of UNRWA agency. 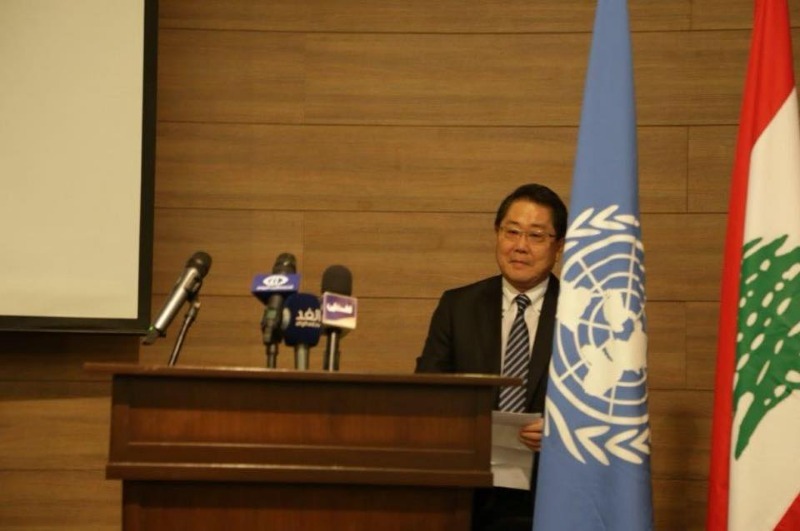 Japanese Ambassador Matahiro Yamaguchi emphasized on the importance of the project in supporting refugees who are suffering from extreme poverty and he expressed the hope that the Japanese grant will help the Palestinian families which have suffered and damaged greatly as a result of the destruction and their refuge in the Ein El-Hilweh camp. 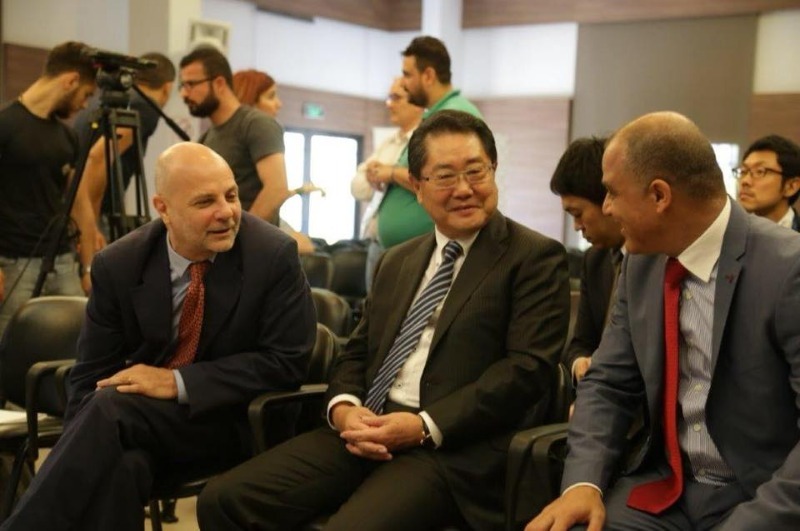 Add to this, he said that Japan had recently decided to provide an additional grant of US $ 5 million to UNRWA agency to provide cash assistance and hospitalization services to Palestinian families who had left Syria to seek refuge in Lebanon. 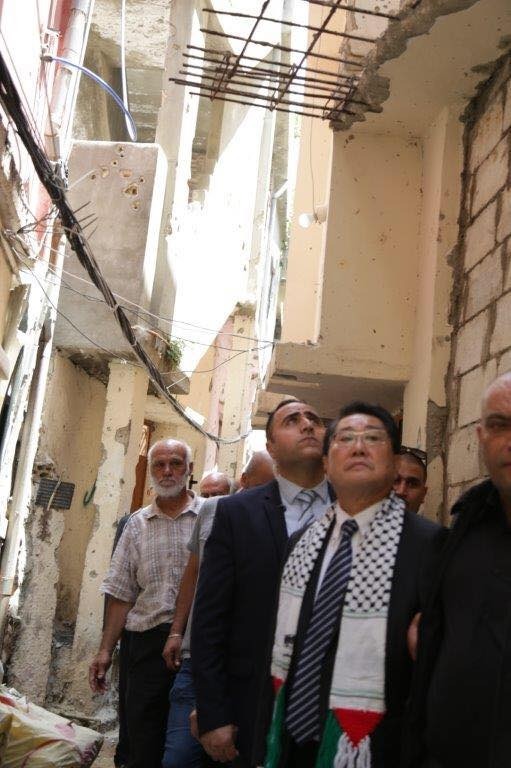 A visit of the Japanese Ambassador Yamaguchi to Ein El-Hilweh camp has been done after the ceremony that has been conducted by Nabaa' and UNRWA Agency in the Municipality of Sidon to announce the emergency rehabilitation efforts for the affected houses in Ein El-Helweh camp as a the result of the clashes that happened in April and August 2017. The project Funded by the support of the people of Japan, and with the participation of the representative of the director of the Lebanese army intelligence and information branch in the south Brigadier Fawzi Hamadeh, the national security officer in the south Colonel Suhail Harb, representative of the deputy Bahia Hariri Mr. Ali al-Sharif, representative of the deputy Osama Saad Mr.Mohammed Daher, Mr. Majid Hamato the coordinator of NGO's platform of Saida, representative of the chairman of the" Lebanese-Palestinian Dialogue Committee "Iman Shams and representatives of the Lebanese and Palestinian parties and forces and the popular committees and neighborhood committees in the camp. 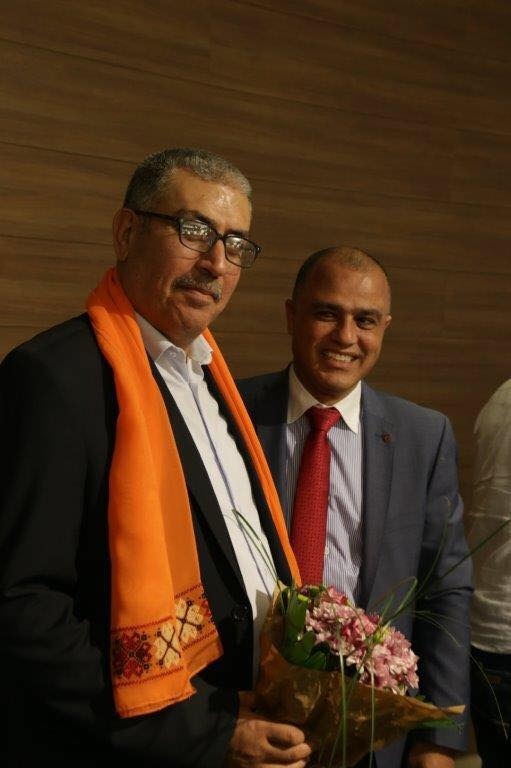 In addition to the speech of the Japanese Ambassador Matahiro Yamaguchi, the mayor of Saida municipality Engineer Mohammed Al-Saudi called for a radical solution to the security situation in Ein El-Hilweh, where the Saida activists are still active every time on this line, because the security and stability of Ein El Helwe is consider from the security of Sidon. Add to this, in fact it's simply a neighborhood from the neighborhoods of the city and its people and what affects them affects us. 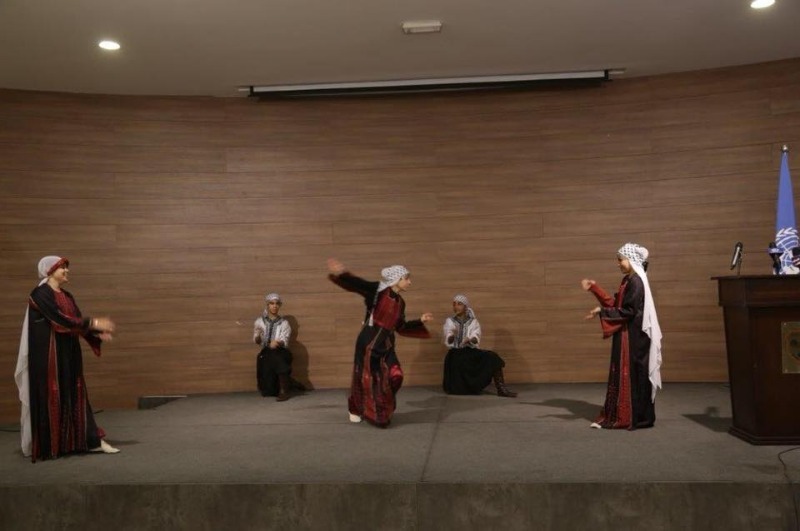 As if the Palestinian people are not in Diaspora and instead of giving them the means of support and humanitarian, social and cultural support, we find some parties and negative circumstances are surrounding the camp. This negativity does not serve the Palestinian issue as well as It leads to distract the Palestinian refugees with renewed problems that make their focus on their issue in liberating Palestine and returning to it as a secondary priority in order to ensure the safety and dignity of their children's' and families. The General Director of "UNRWA" agency in Lebanon Mr. Claudio Cordone, thanked the Lebanese army for its cooperation in order to complete this project, as well as he called on "the Lebanese authorities to grant the Palestinian people their rights and lift the restrictions regarding the work so that the refugees can improve their living with dignity," pointing out that "UNRWA" are suffering from a large financial deficit amounted to 449 million dollars, an unprecedented deficit in the history of UNRWA, he added "Offset by unprecedented efforts by the UNRWA team to raise funding and have managed to raise half of the required amount. "We hold on to optimism so that we can overcome the crisis but the situation is serious and danger. We will not give up whatever the odds. We launched the global campaign" dignity is priceless and we start recognizing the results, " thanking all the donor countries that stand by our side and most notably Japan, have a ring "Seventy Years of Palestinian asylum, a long time and the time has come to find fair, supporting and lasting solution to the Palestinian issue and its people. 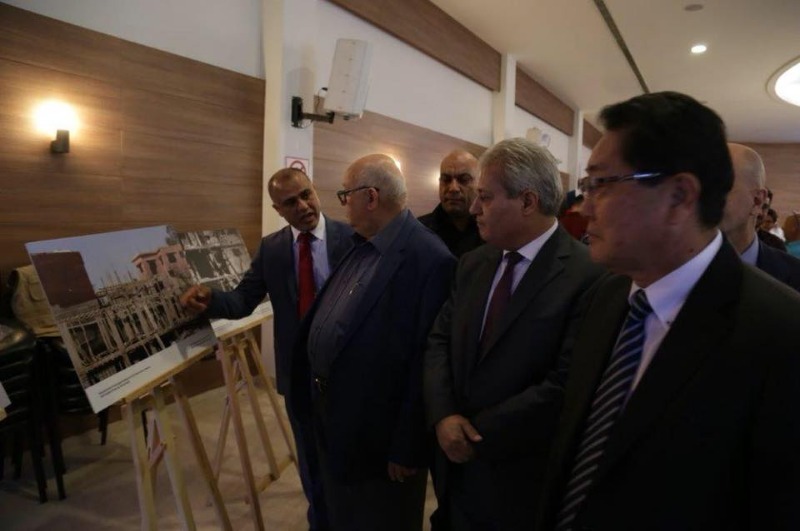 The representative of the Ambassador of the State of Palestine in Lebanon, Ashraf Dabour, Consul Ramzi Mansour, pointed the Japan's role in supporting the Palestinian people in Ein El-Hilweh camp and the reconstruction of Al-Tiri district. 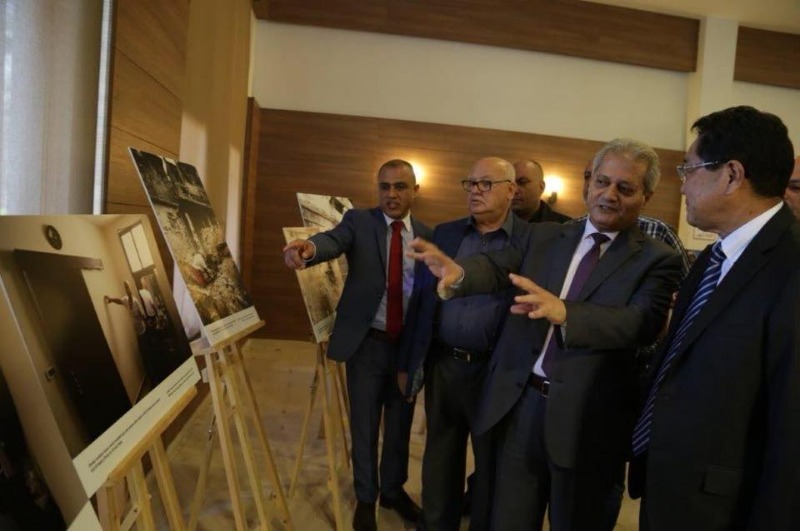 As he said "we look forward to the continuation of this generous support, and we call upon all countries of the world to help UNRWA in order to continue providing various assistance to our people in Lebanon and in the Diaspora. As Lebanon embraced our people and we appeal to it to allow our people to work in order to secure a living and a dignified life, "stressing that" the Palestinian presence in Lebanon is temporary until the return to the homeland Palestine with Jerusalem as its capital. The chairman and general director of Developmental Action without Borders / Nabaa' Dr. Qassem Saad announced that the staff of Nabaa' association decided to donate a total of 3% of their salaries for six months, calling on UNRWA staff to welcome this step, expressing the supporting of UNRWA Agency in its financial crisis as he said "We thank Japan for being aware that there is a Palestinian refugee in Lebanon who deserves support, and we thank Japan for its believing in this refugee and supporting him as a human being without any political or security considerations or regional agendas, he added "The Palestinian refugee in Lebanon does not seek the sympathy of any of the governments, but it is the right to a have decent living, learning, health, and employment opportunities. Concerning the current debate and the subsequent decisions of the 1990s on emergency humanitarian interventions and the provision of services and linking it to the rights and needs approach since what we demand is right. The responsibility of the international community is linked with the extent of the ability of donors to preserve and facilitate these rights in accordance with the Charter of Human Rights. He pointed that, "Do not push the Palestinian refugees to lose hope for the Charter of the United Nations and its institutions and social and humanitarian justice". 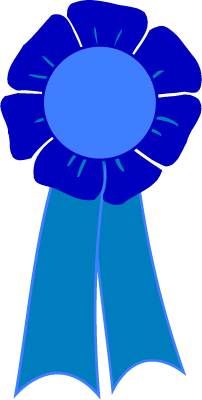 Noted that, the responsibility of the international community is reside on not allowing the fall of UNRWA and to provide all the necessities to ensure the sustainability and continuity of its services so that it can continue to provide school and health and social services as well as The Palestinian society has the responsibility to promote its potential and to invest in its capacity on the bases of cooperation between UNRWA and the refugee community and to assess UNRWA through the Lebanese Ministry of Foreign Affairs and the League of Arab States to strive to increase funding and discuss the Financial data bridging the gap with the current donor community and look for other opportunities or new donors or even a discussion of the current funding value.